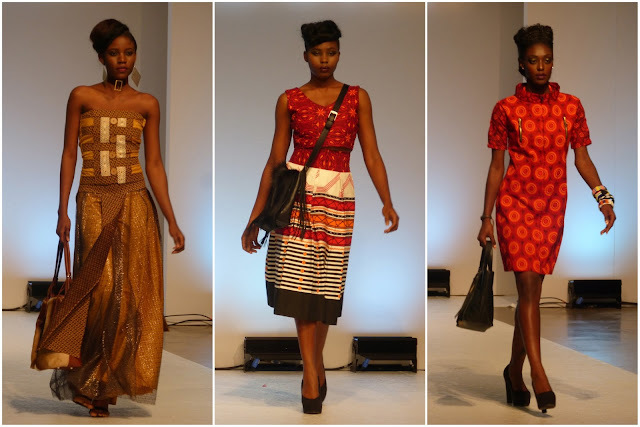 There's no FROW like an African FROW. 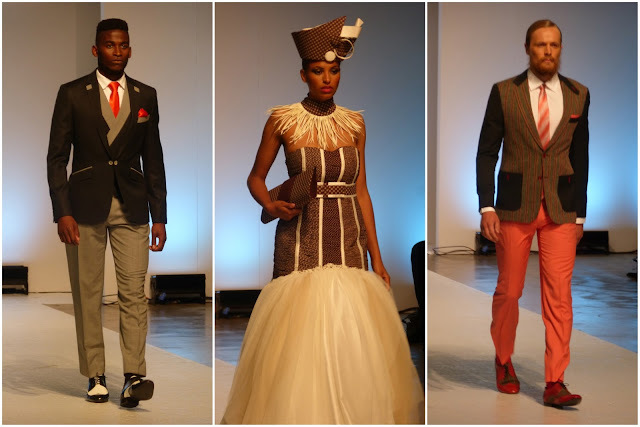 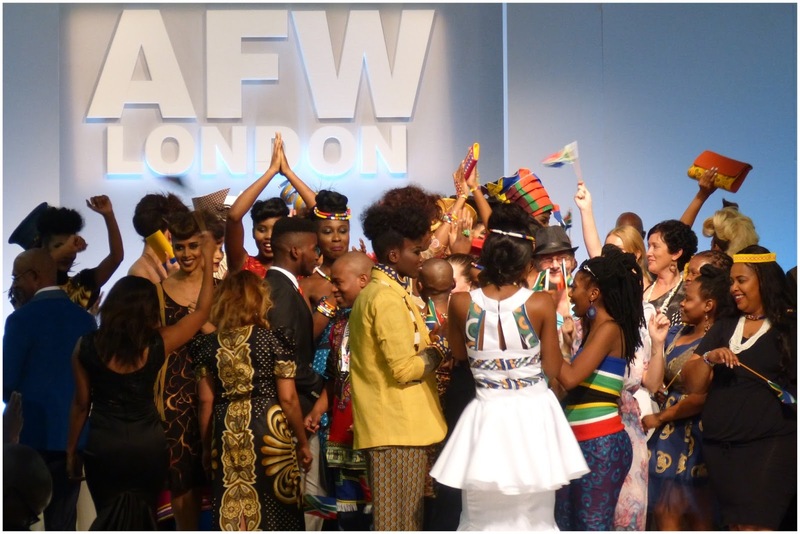 It's that time of the year again where Africa gets to shine and show London what the continent's fashion is all about. 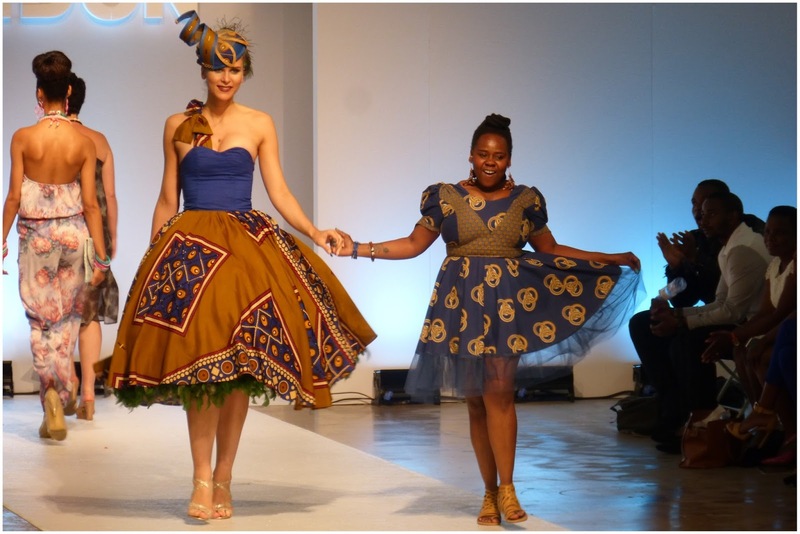 Time to get glam, print-tastic and colourful to discover, enjoy and celebrate some of this diverse continent's creative talent. This year marked the event's fifth anniversary and it was even bigger and better. 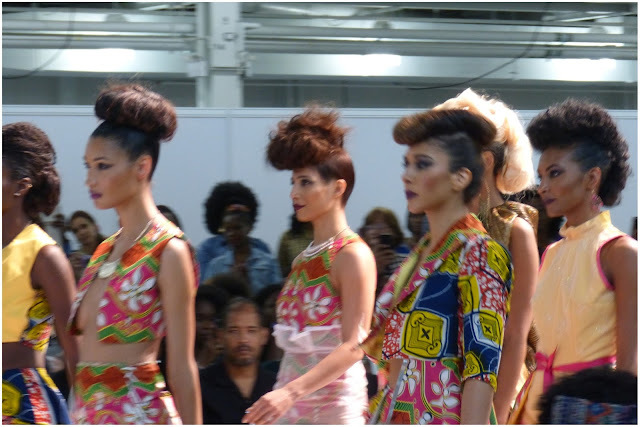 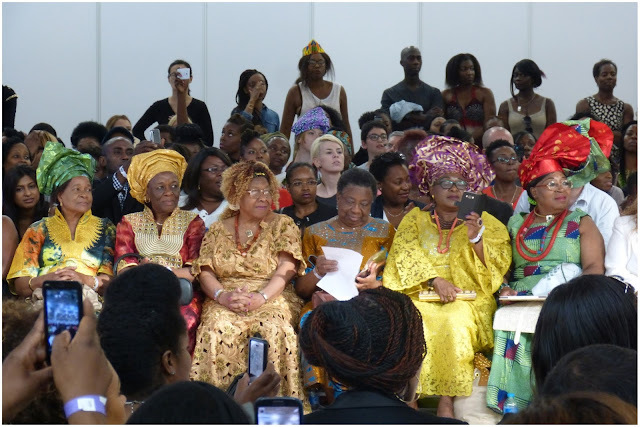 Now in its new [and likely future] home at Olympia West, the event has attracted a wider audience and increased media attention thanks to the fantastic job Team AFWL do in providing an open and fun platform for Africa's designers and creators to showcase their work. 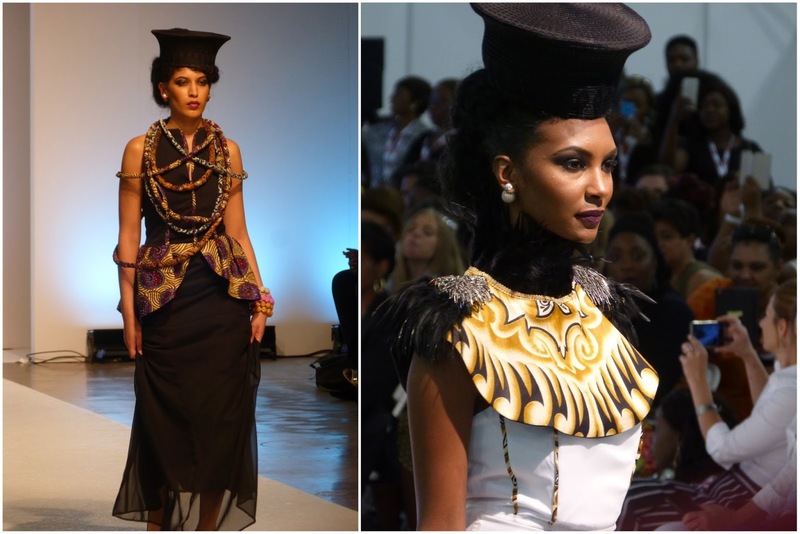 Africa is a huge continent with an incredibly rich and mixed cultural heritage and diaspora. 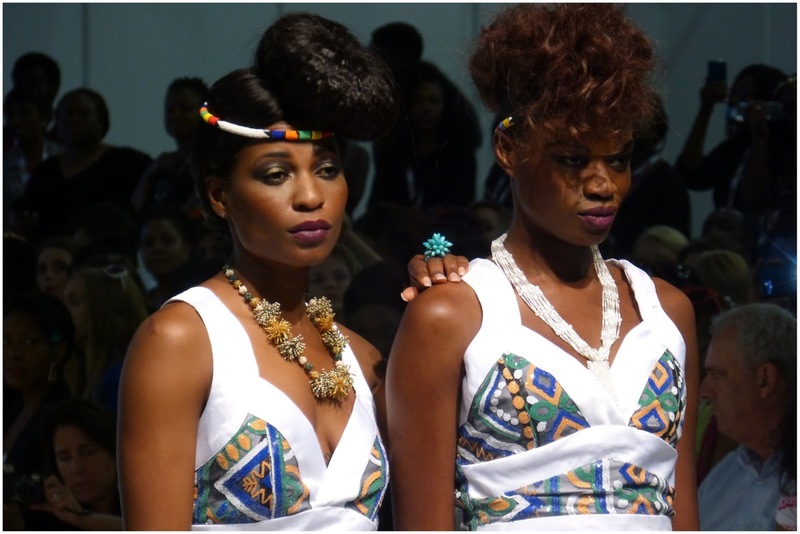 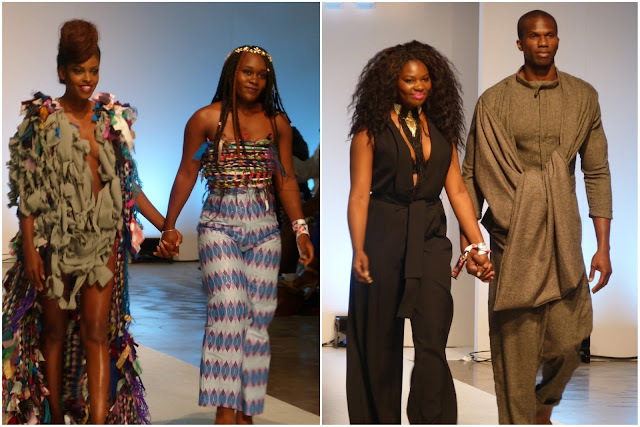 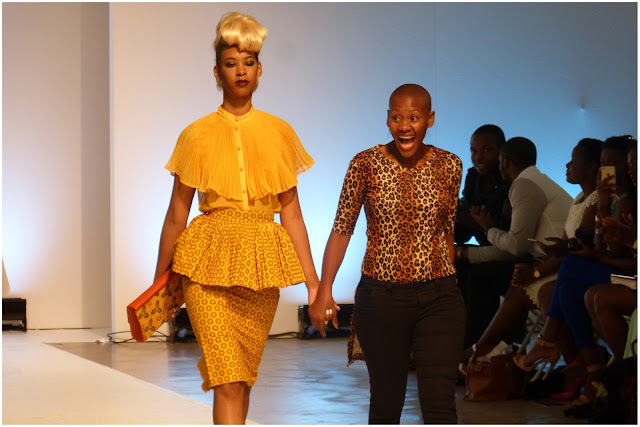 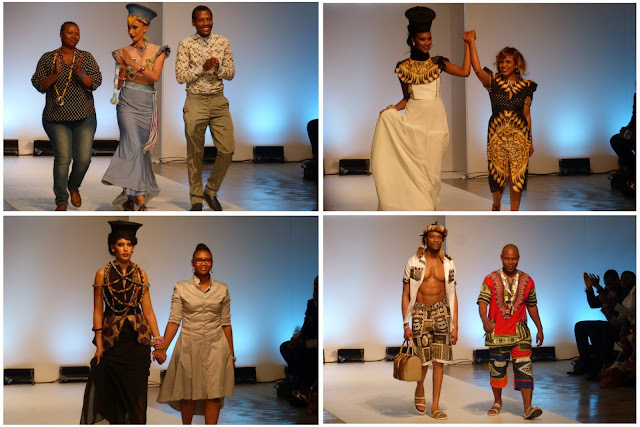 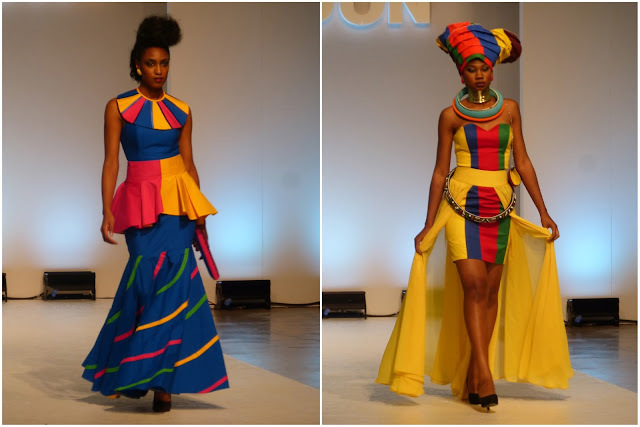 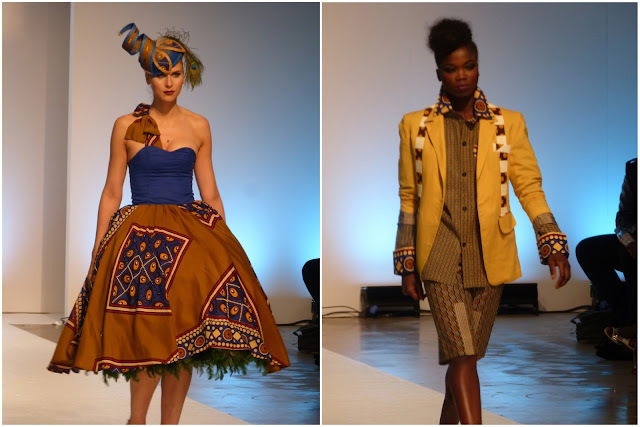 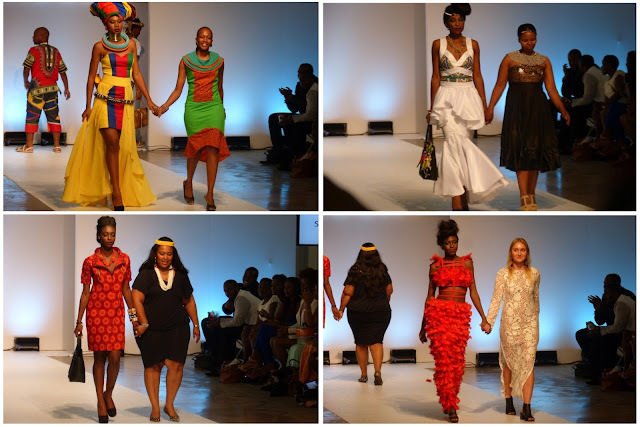 With the help of events like this one the world [or at least Londoners] can get the opportunity to be a little curious, adventurous and hopefully inspired by African fashion. 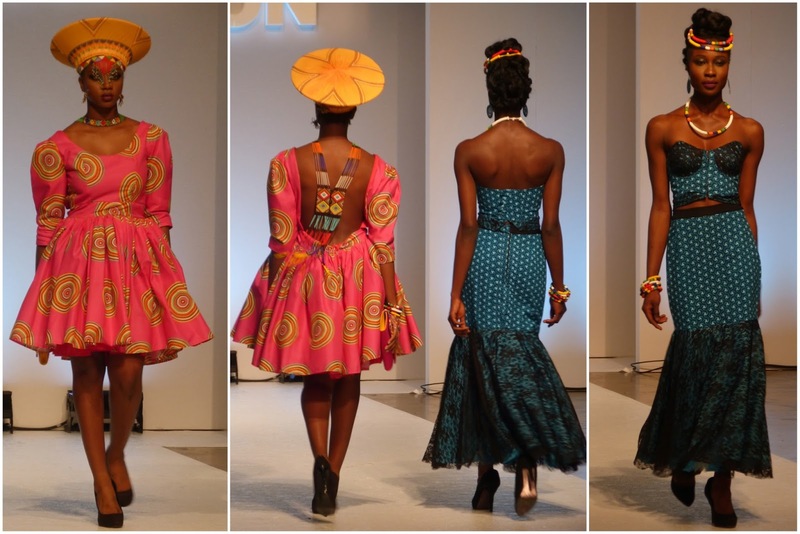 It was such a shame that I was in a difficult spot to be able to truly capture Le Ekhaya designs. 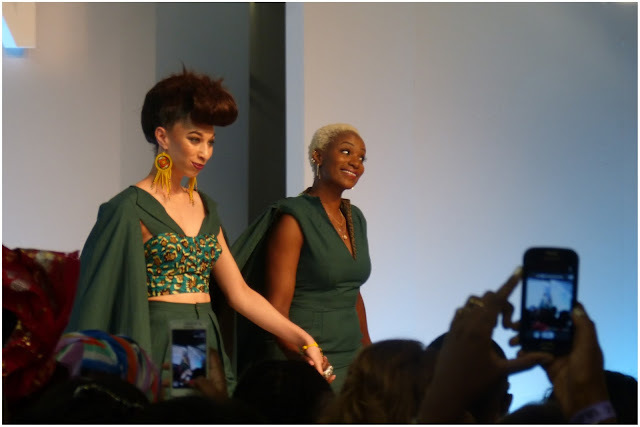 Luckily I got this one shot of the beautiful designer and one of my favourite outfits from the collection - which involved rich greens and power dressing a la cape [clearly made for those Superhero Women out there]. 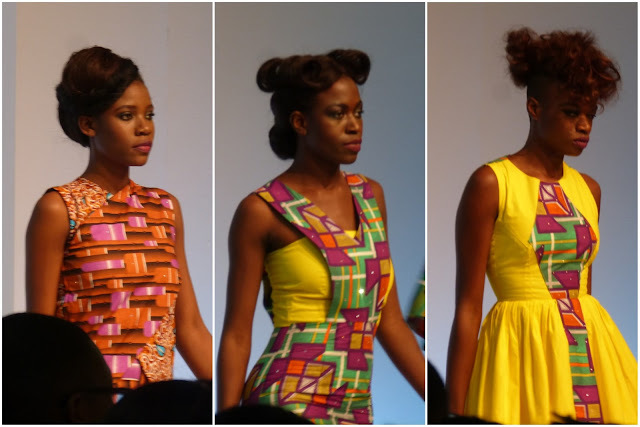 Again in a difficult spot but I managed to capture the majority of Sakara designs in this one shot. 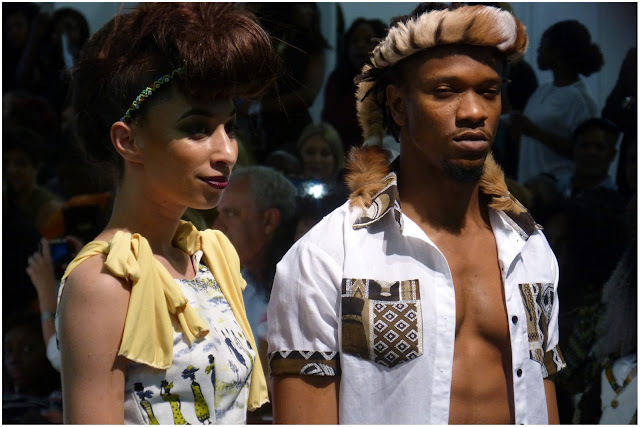 Classic African prints with innovative tailoring - I particularly liked the waistcoats and jackets which could accessorise a classic outfit with a bit of flare. 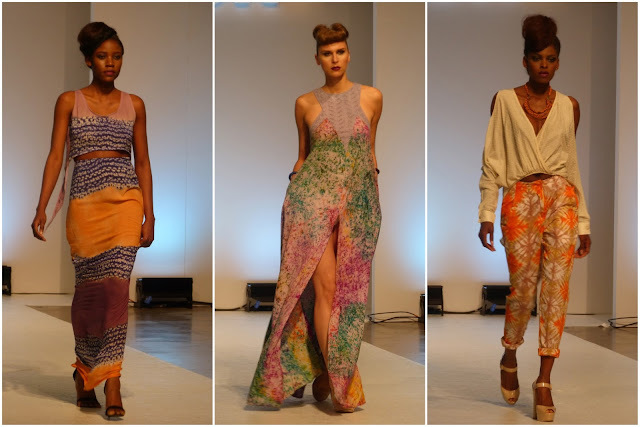 The final shots from a difficult spot was the Asake Oge collection - distinctly more geometric cloth patterns in a mix of bright and fun colours. I enjoyed the modern take on the classic African print. This showcase was one of my favourites from the whole weekend. 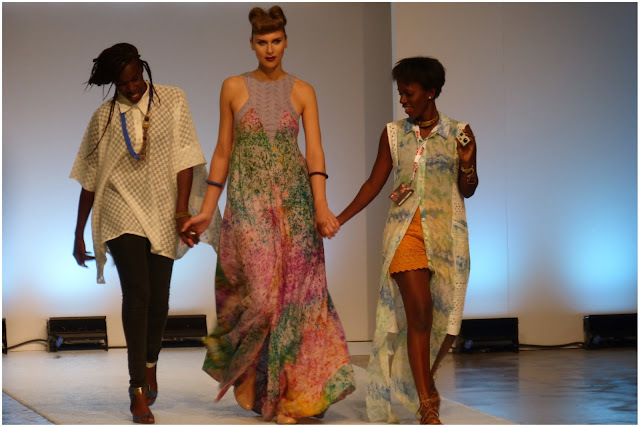 The use of texture, colour and powerful lines made a winning combination - the designers' strong eye for detail was evident with every piece purposefully placed and draped in the perfect way. 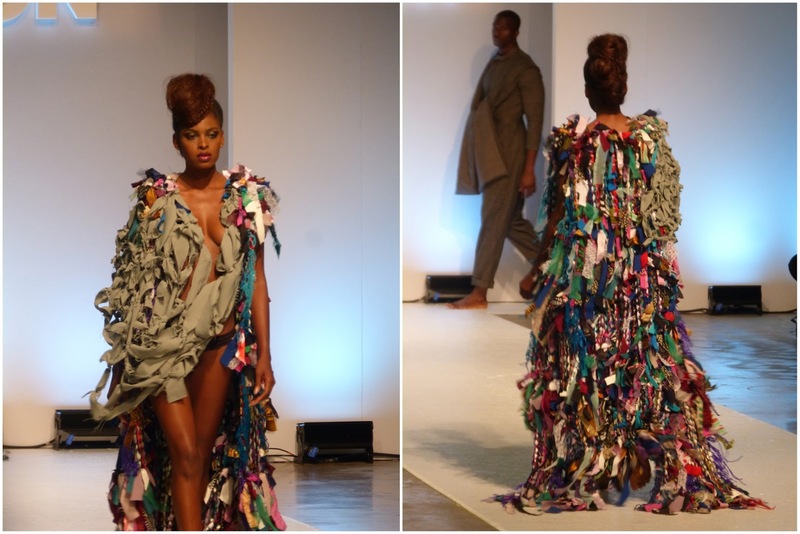 Also, please let's just take a moment and absorb that magnificent cape. 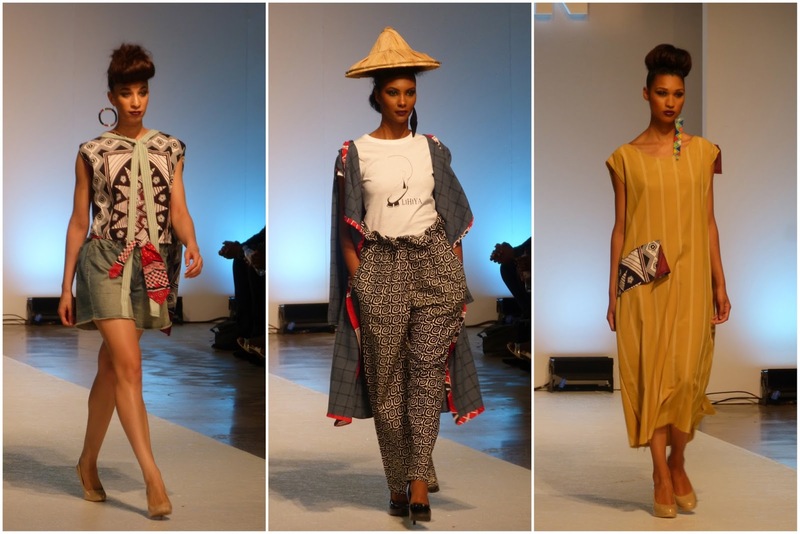 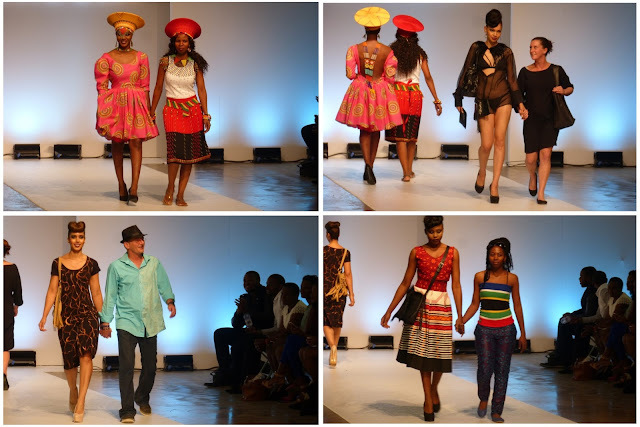 This collection beautifully showcased what happens when Africa meets Asia in clothing design. Beautiful shapes and cuts but with the African print and flare retained, all creating a fun twist to everyday wearable fashion. Some of these designs made me feel like I could be chilling in / near a rice field, keeping cool in the shade. 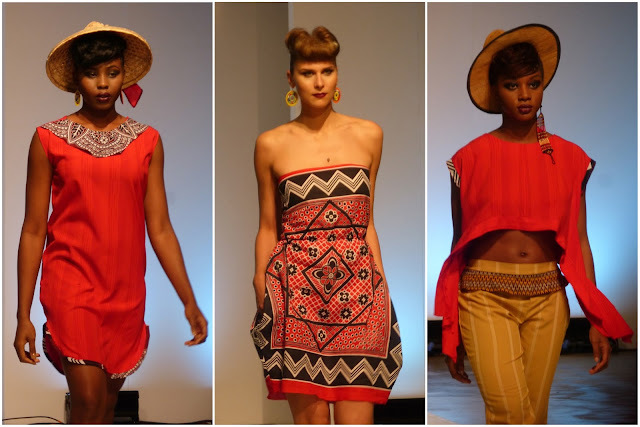 Plus the hats were adorable / I want one! These ladies are bang on trend and super cute [look at them!] 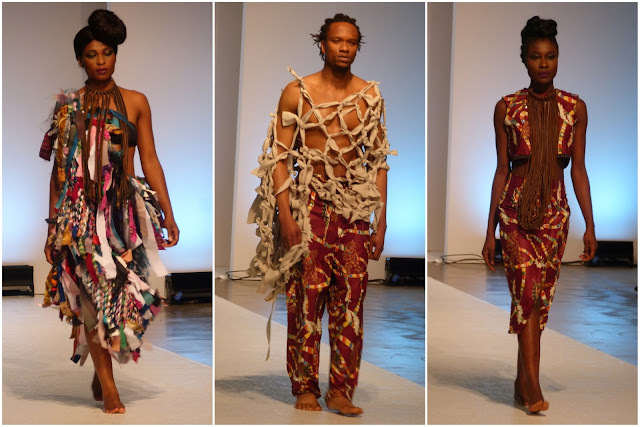 - all of which came through in their beautiful designs. 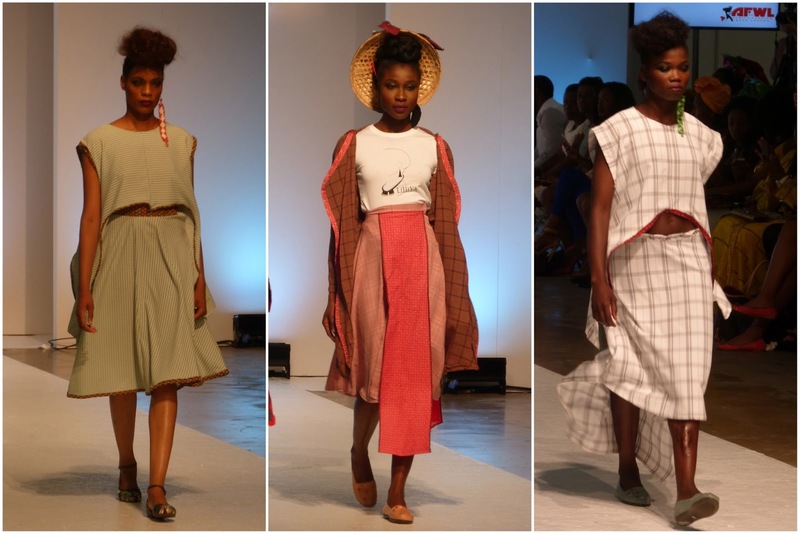 Relatively more subtle with a pastel-like colour palette but still packing a punch with flowy fabrics and strong silhouettes [the power cape made another appearance, with a little more softness to it this time]. 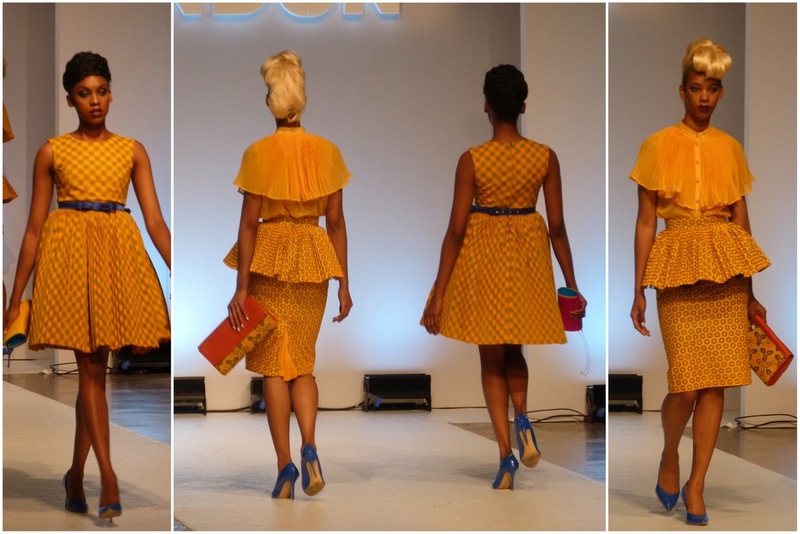 Another one of my favourites over the weekend. 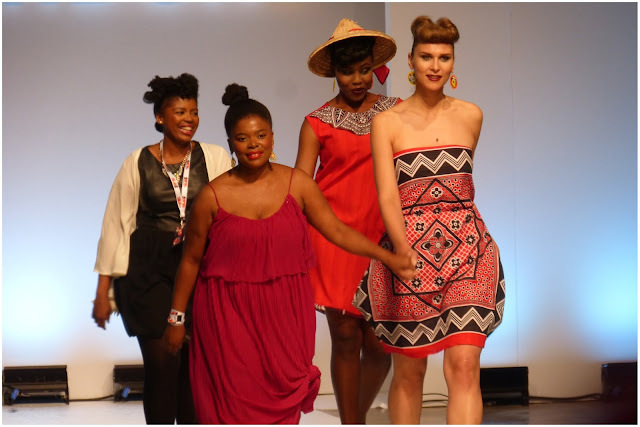 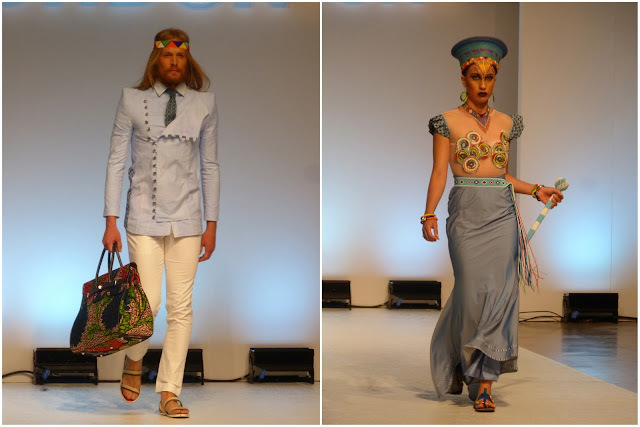 This mammoth colourful collection was created by 18 designers from the South African KZN Fashion Council. 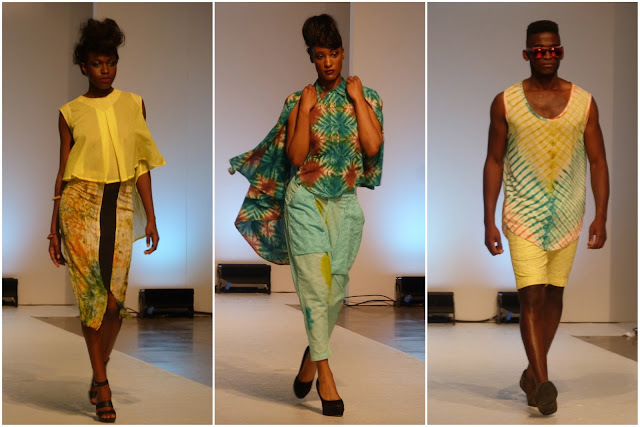 Made up of different yet complimentary styles in one capsule - particular highlights for me were the distinct and suave suits, primary colour and print power gowns, sunshine yellow dresses, bikinis and pink & blue evening gowns. 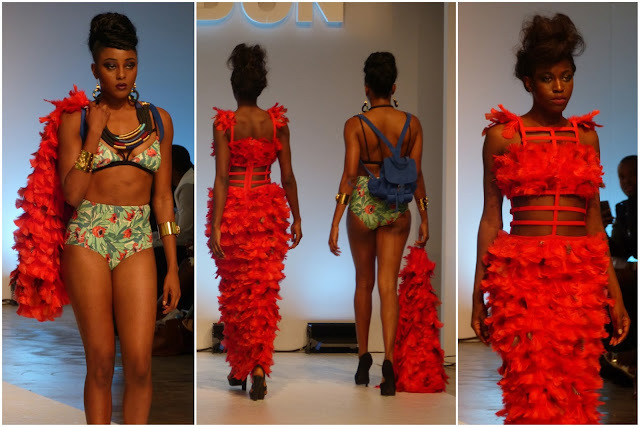 A great collection with some memorable innovative designs. KZN Fashion Council. 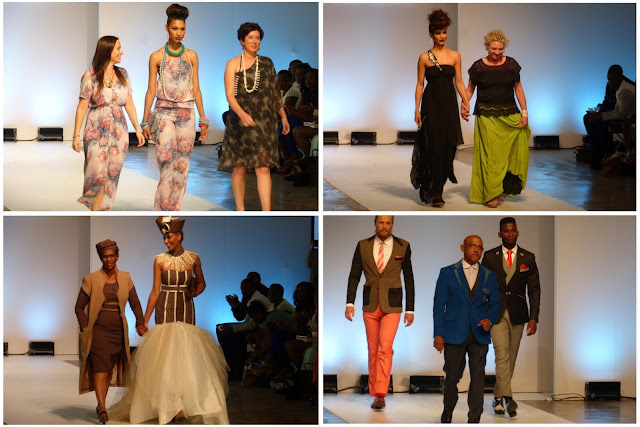 // all eighteen designers in full force! 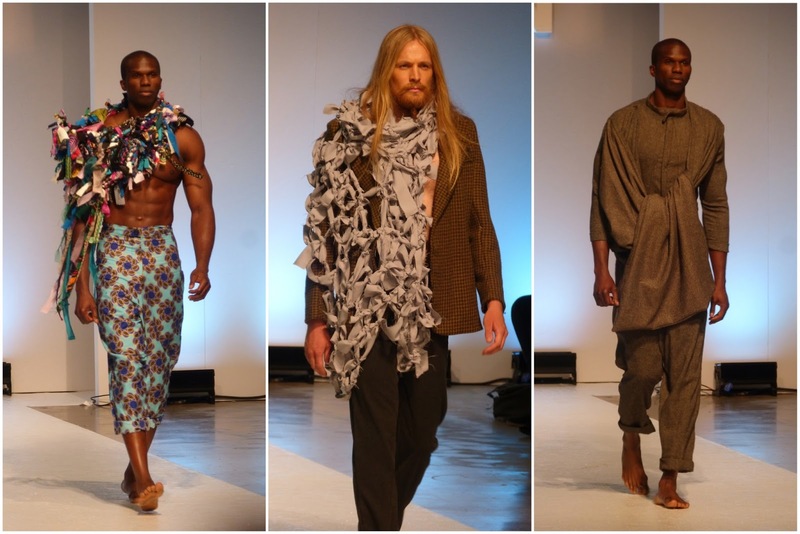 hope you've all had a fashion-fabulous weekend too.